This summer, dozens of towns in France banned the burkini, the swimwear favored by many Muslim women because it allows them to enjoy the beach while observing Muslim traditions of modesty. The bans came amid a long debate over national security, Islamic extremism, terrorism and, not least, the French principle of secularism. It also squarely raised the issue of human rights and religious freedom. But if Samuel Moyn, professor of law and history at Harvard University, is correct, the burkini ban and a host of other laws and court rulings across Europe applied to Muslim dress are less about sustaining the secularization of Europe than they are about preserving a vestige of the Christian origin of human rights and policing Muslims. Islam, it seems, has replaced secularism as the new enemy in Europe, against which human rights and religious freedom are being deployed. Moyn discusses the headscarf cases at the end of his 2015 book Christian Human Rights (University of Pennsylvania Press), in which he makes the case for understanding the invention of contemporary human rights in the 1940s as a primarily European conservative Christian moment (not be confused with the hard-right conservatism of certain elements of the evangelical Christian movement in the United States). It is a version of history that runs against the grain of received wisdom and the conventional story of the birth of human rights. In his previous work on the history of modern human rights, The Last Utopia, Moyn looked at the decade of the 1970s, that moment when human rights emerged “seemingly from nowhere” and began to be “invoked across the developed world and by many more ordinary people than ever before.” In that book Moyn rejected, as he does in his latest volume, the notion that modern human rights began with the revolutions—American and French—of the late 18th century and could be traced back to the Bible and Greek philosophy and forward to the 1945 formation of the United Nations, the 1948 Universal Declaration of Human Rights, and especially Europe’s reaction to the horror of the Holocaust. 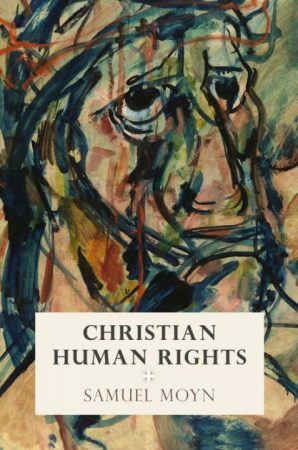 Moyn’s latest work on Christian human rights might well be read as a preamble—and even something of a nuanced corrective—to The Last Utopia, challenging the current secular grounding for understanding how human rights developed and its place in the political contexts of that development. Moyn brings fresh eyes to the events of the 1930s and 1940s, and in a contemporary world saturated with classical liberal secularism he finds some unexpected religious sources as the primary intellectual frame for the conceptualization of modern human rights. These include papal messages, the theology of personalism, and the emerging Protestant ecumenical movement. Key figures include Pope Pius XI, Pope Pius XII, theologian Jacques Maritain, Lutheran historian Gerhard Ritter and, to a lesser extent, Lebanese Christian Charles Malik and Filipino Christian leader Carlos Romulo. The latter two figures were key influences on the drafting of the 1948 Universal Declaration of Human Rights. “The history of Christian human right in the 1940s is the major part of the history of human rights generally at the time, before the principles inspired the slogans of mass movements and became central elements of contemporary international law,” Moyn writes. It is a paradoxical history, for over time the church changed what had been secular and liberal into a set of values that were religious and conservative. Roman Catholic Christianity was, through much of the first decades of the 20th century, a staunch opponent of the secular and liberal notion of human rights, including what became the linchpin right, religious freedom. Indeed, during the 1930s and the rise of fascism and Nazism, major currents of the church were sympathetic to those movements as bulwarks against what seemed to be the chaotic and atomistic individualism stemming from the revolutions of the 18th century. Generally, in the period between World War I and World War II, the Catholic Church celebrated, and viewed as victories for its social teachings, the collapse of liberal democracy and the rise of authoritarianism in Austria, Spain, and Portugal in the 1930s, and of Vichy France during the Second World War. 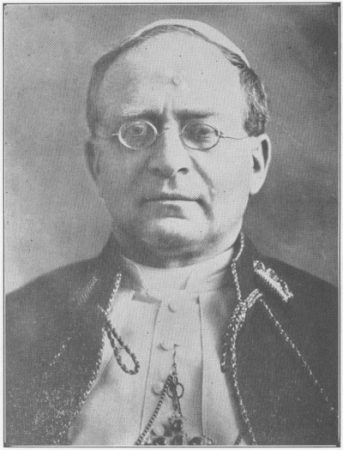 Moyn sets the first crucial date for the development of Christian human rights as 1937, when the papacy—the dying Pope Pius XI and his successor Pius XII—began to realize the threat posed to the moral community by totalitarian movements of the left (the Soviet Union) and, to a lesser extent, the right (Mussolini and Hitler). Additionally, the popular notion of the concept of the `”human person” was becoming central in Christian political thought, exemplified by its inclusion in the new Irish Constitution of 1937. 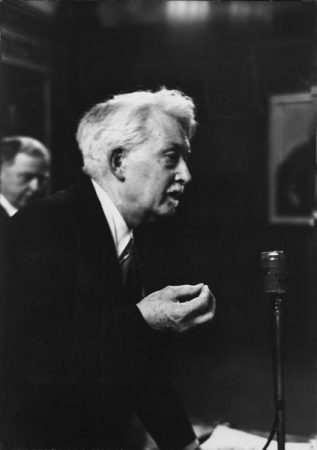 In the 1930s, the concept of dignity, so crucial to human rights, gradually shifted in Catholic social teaching away from a corporate understanding—dignity residing a groups such as workers or families—to individuals as exemplified by the Irish, “the true pioneers both in the development of religious constitutionalism and in symbolizing its project through appeals to human dignity,” Moyn writes. 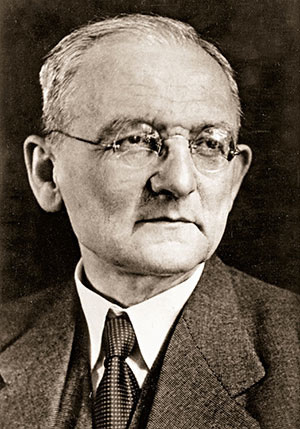 Personalism has a motley and messy history, but according to 1930s-popularization of the idea it was an anti-liberal conception poised against both individualism and collectivism and meant to be a repudiation of the materialisms of liberalism and communism. “Most boldly, personalists claimed that capitalism and communism, apparently foes, deserved each other and canceled each other out in their common materialism,” writes Moyn. An evolved Christian personalism—as opposed to individualism and constructed as a conservative response to the debacle of a shattered European community—won the day and came to be a cornerstone of the Christian Democratic parties that took power in the first decades after World War II. Christian Democracy, Moyn writes, was the single most defining feature of the post-War European political settlement. For Ritter, as for the Catholic clerics and intellectuals of the era, “the new human rights were about conservative defense of old verities, not progressive betterment of the world” and shoring up a conservative moral-political “Occidental” order against both individualistic democracy and collectivist communism. While Christian human rights continued to be central in the first decades after World War II and through much of the Cold War, after what Moyn describes as the “extraordinary decline” of Western European Christianity that began in the 1960s, the essentially Christian aspect of human rights became obscured. “But the truth is that the history of human rights eventually became largely untethered from the profoundly Christian moment in world affairs that helped birth the principles between the 1930s and 1940s,” he writes. In a final chapter, Moyn focuses on the transition of human rights in Europe as a Christian bulwark in the anti-communism of the Cold War to the ongoing debate over the role of Islam in Europe’s increasingly secular public life. Moyn argues that current European secularism is hypocritical and discriminatory rather than inclusionary; it singles out Muslim practices while giving Christian practices a pass. 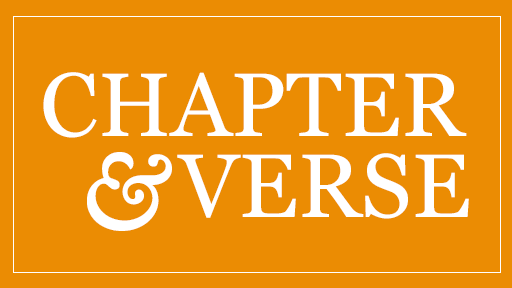 In a final odd, pessimistic, and somewhat unconvincing epilogue, Moyn attempt to compare the rise and the contemporary situation of human rights with the globalization of the Christian church. “Christianity is the global faith that many would like human rights to become,” he writes. The true globalization of Christianity, he argues, began after World War II, and its growth in Africa and Latin America, symbolized by the election of Pope Francis, has made Christianity a religion of the global south. David E. Anderson is a senior editor at Religion News Service.